Doug Rubenstein is a director in Katz, Sapper & Miller's Tax Services Group. He has been with the firm since 1998 and has been in public accounting since 1994. 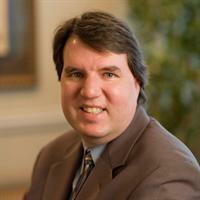 Doug’s background includes advising clients in a wide variety of accounting, tax and business matters. He has extensive experience in tax planning, tax compliance, financial statement analysis, forecasts and projections, and managing business issues specific to the real estate industry including like-kind exchange transactions. Doug received a Bachelor of Science degree in business administration and accounting from the University of Arkansas and a Master of Business Administration degree from Saint Louis University. Doug is a member of the American Institute of Certified Public Accountants and the Indiana CPA Society. He serves as treasurer for the Central Indiana Intercollegiate Soccer Official Association and is a member of the board of directors of Friends of Holliday Park.